Seeing as how my primary business has not yet opened operations all around the world (that is in the works),and there are many people who want to get in on the action sooner than later,I decided to write a quick post to share with people how to get around that small bump in the road. One of the best ways to go about that is to start a Corporation. Why would you want to start up a corporation….well,because it has many benefits, and even though some people have the misconception that you have to have an actual building to own a corporation, it's not true, and it's relatively inexpensive to start. 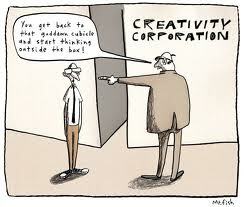 With a corporation, you can have as many D.B.A.s (Doing Business As) or businesses as you want under it. For example ABC Corp., can own ABC Boat Rentals, ACME Flower shop,and Yummy In The Tummy Restaurant, etc. One of the biggest benefit is that a corporation is a separate entity. It has really nothing to do with you as a person. It has its own E.I.N (Employer Identification Number) and is treated like another person. The debts and the lawsuits of the corporation do not affect you as a person; so you have your family protected. Some other benefits of a corporation are tax advantages, being able to easily raise capital, being able to exist forever after the founder has passed away, and there are many more. And in this case of wanting to get involved with a network marketing company that is not yet in your country, and out of country resident can start up a corporation and place the network marketing company under the umbrella of the corporation….ingenious isn't it? They would still need to get a mailing address in which to send things to/from (you could get a P.O Box or shipping depot,or a friend's or family members address). The “poor man's” version of that is basically for someone out of the States (or Canada) to create an operating agreement with someone who lives in the States who's willing to act as their agent. You would put the business in their name and they would take care of monthly payments,supply a shipping address to receive items,etc on their behalf.Obviously all payments made would be covered the person who is “actually” doing the business from afar. An example of this would be “a girl in Korea who's going to sign up in her Mom's name….her Mom will act as the agent, making the payments, receiving the packages, and she'll cash the checks into her daughter's account. The daughter will basically run the whole business from Korea on the net.” Simple, yet obviously there has to be a large amount of trust. If you don't have anyone that you can trust enough with your business, then go and get incorporated. 4. Create an e-mail for your corporation (if you have a corporate website, have the e-mail come from there; if not, create a generic one and have it forwarded to the one you check everyday. ** These steps my vary slightly from state to state so check it out with the government office of whichever state you decide to register you corporation with. If you want, you may want to “trademark” your logo so that nobody could ever use it. P.S – Click HERE To Find Out How You Can Join Our Dream Team Of Marketers And 2010's Biggest MLM Explosion!